Immerse yourself and become among the best-trained yoga teachers in your area by learning and living yoga in our 200-hour and 300-hour Yoga Teacher Training certification programs with our team of passionate and expert instructors. Founded in 1997 by Program Director Jaime Sanchez ND, West East Yoga is the oldest teacher training program in the St. Louis region. 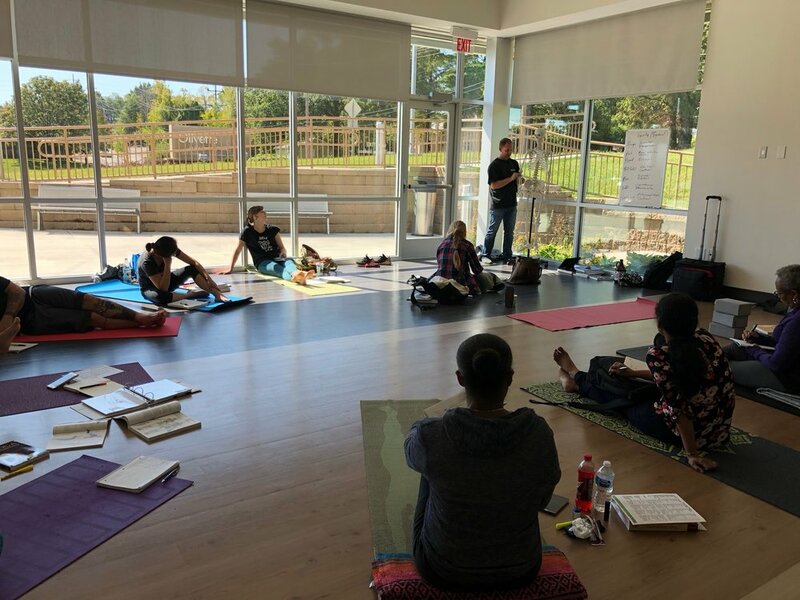 Jaime has made sharing yoga his life’s work and brings his decades of experience in meditation, pranayama, mindful movement, and awareness to every aspect of the practice to educate and ensure the success of the next generation of yoga instructors. With continued practice, yoga asanas can remove impurities and strengthens the functions of both the body and mind. We share different perspectives and possibilities to facilitate students in cultivating a universal teaching style. This approach provides a strong foundation from which to grow internally and externally, developing a solid, traditional practice and an extensive knowledge of this ancient discipline. Iyengar yoga is a discipline which focuses on alignment of the body to achieve emotional and mental balance and strength. Our YTT program presents primarily Iyengar yoga complimented with various other styles of yoga. Hatha is a method which quickly builds strength, increases flexibility, and clears toxins from the body. This method includes numerous sequences of asanas (yoga postures). Vinyasa synchronizes breath to movement and links one posture to another in a fluid sequence. This practice stimulates the cardiovascular system and generates heat in the body, which eases the body into the asanas. we invite you to join this life-changing program & community!